I was delighted to be invited to take part in the Reinvention Show at New York's Clutter Gallery. The theme of the Exhibition was toys reinvented as other toys. 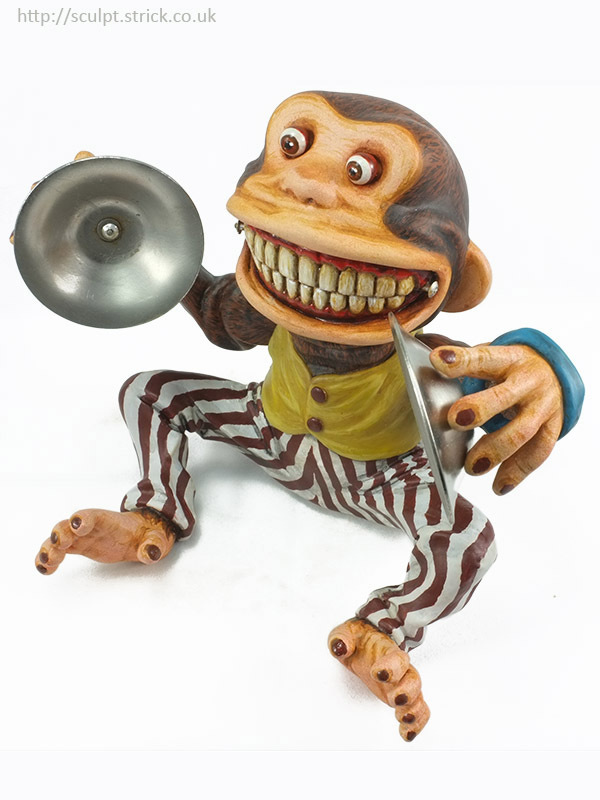 I took my inspiration from the iconic mechanical cymbal-clashing chimp toy that has appeared throughout popular culture and in movies including Monkey Shines, Close Encounters of the Third Kind and Toy Story 3. As a base I used one of my favourite vinyl forms, a Kidrobot Munny. I began by boosting the height of the figure with some dense foam and then formed basic wire armatures for the legs and arm extensions. 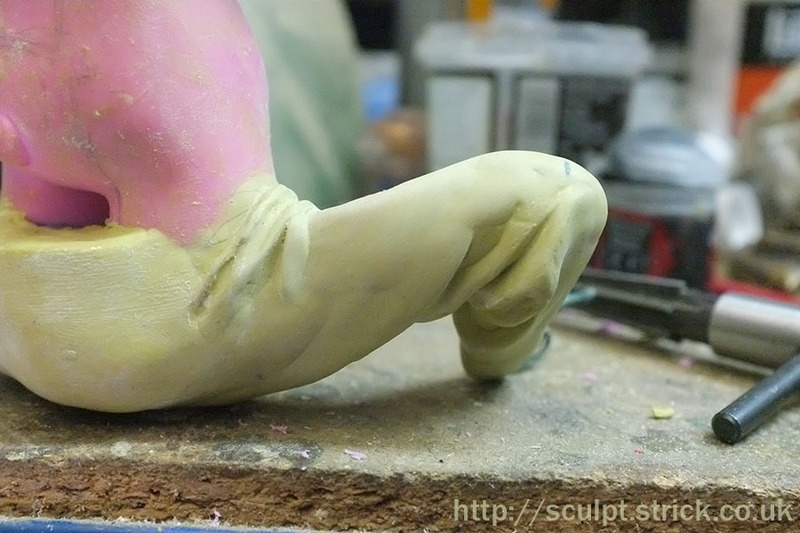 I sculpted the legs in Milliput directly over the armature. I had originally intended having an open compartment on the toy's back revealing the Munny's stumpy legs disguised as batteries. In the end though, I decided that this over-complicated the design and sealed them in. 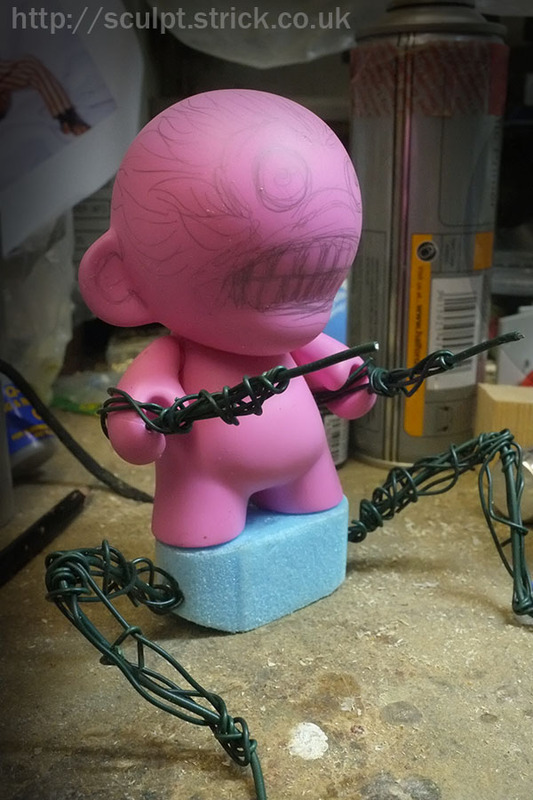 The head followed the lines of the original Munny as far as possible. 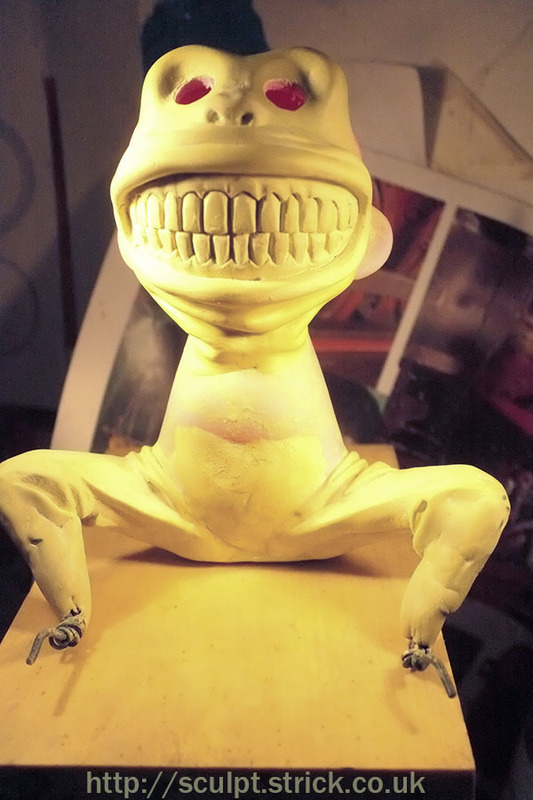 The teeth were sculpted unlike the painted grin on the actual toy as I thought it would have more impact. I wanted the surface to look like loose fabric being distorted by an underlying mechanical toy mechanism so I worked in folds where I thought they might form. It was slightly counter-intuitive sculpting it to look artificial, rather than following natural facial skin creases. 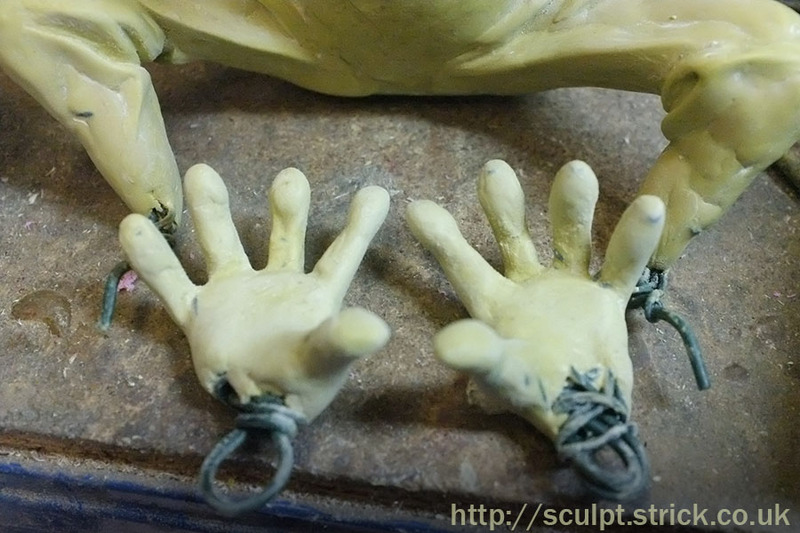 I twisted together simple wire armatures for the hands and feet and sculpted them before attaching them. 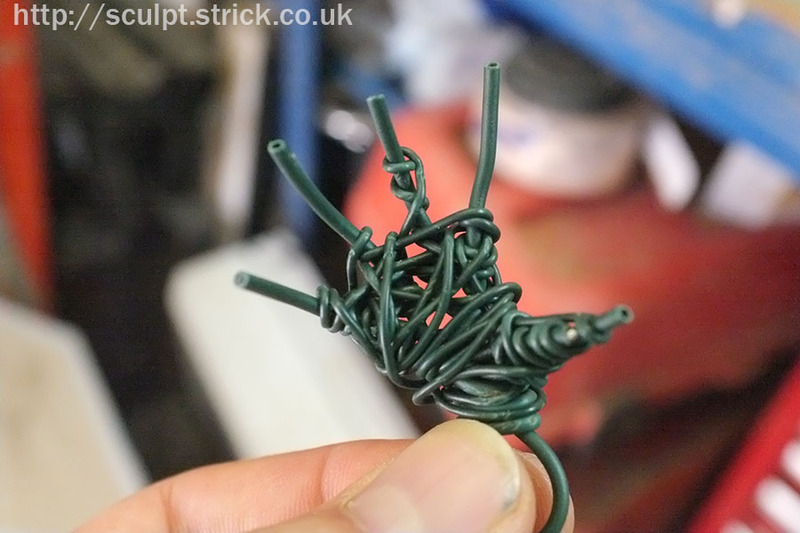 Leaving the wrists and ankles as bare wire until assembly let me fine-tune their exact positions relative to the limbs. The arms were also meant to look like fabric draped over an under-structure. 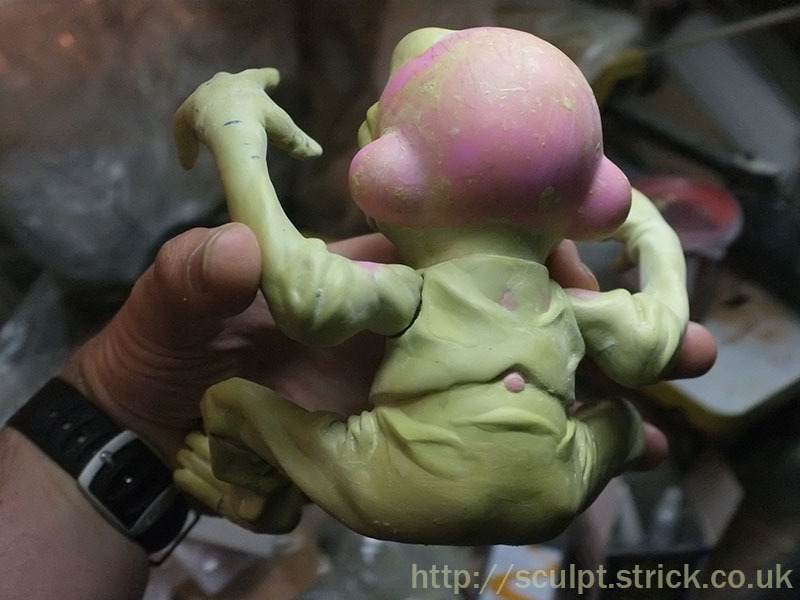 The Munny's bulky hands were hidden in heavy folds at the elbows and the shoulders were re-mounted at a different angle to try and suggest that the toy might start moving at any moment. With all the basic elements in place I began refining, detailing and cleaning up the sculpt. The final parts to be attached were the metal cymbals and mouth hinges. 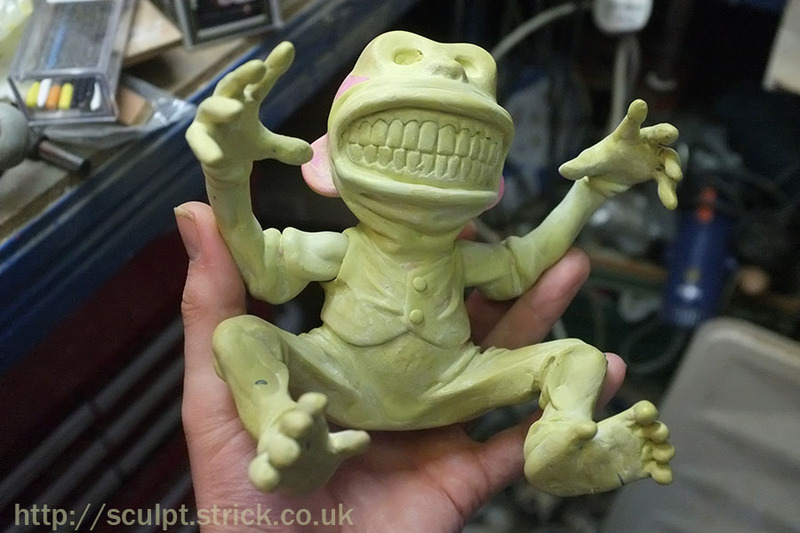 The colour scheme was pretty much defined by the original toy but I made the eyes and teeth a little more realistic. I painted the body with a furry look that helped to highlight some of the sculpted creases. The stripes on the trousers were tricky to get right but I think they really help sell the look of actual fabric. I finished off with some very subtle weathering and aging. More pictures of the finished piece are here.